The purpose of this Roadmap is to articulate a vision and strategy for the continued development, production, test, training, operation, and sustainment of unmanned systems technology across DoD. 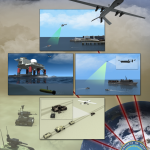 This “Unmanned Systems Integrated Roadmap” establishes a technological vision for the next 25 years and outlines actions and technologies for DoD and industry to pursue to intelligently and affordably align with this vision. In the last 10 years, the unmanned aircraft system (UAS) has captured the public’s imagination and fascination with their ability to provide instantaneous video feeds of military and covert CIA operations in far away places like Afghanistan and Iraq. 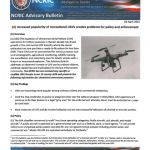 The rapid proliferation of the UAS and the eventual redeployment of current systems deployed to Afghanistan and Iraq will require the Federal Aviation Administration (FAA) to provide unrestricted unmanned aircraft access within the National Airspace System (NAS). The Department of Defense (DoD) requires routine access to the NAS to execute directed missions, meet training requirements, and perform necessary testing to meet the Joint Force Commander’s (JFC’s) established mission priorities. Over the past several years, the DoD has been able to execute a small portion of UAS flights in the NAS but current rules and regulation do not facilitate seamless integration with manned aircraft. The purpose of this study is to show that although the DoD and the FAA recognize the importance of integrating manned and unmanned aircraft within the NAS, there are many challenges and gaps that must be bridged to facilitate successful integration. 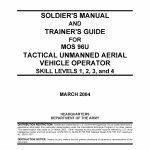 The most important challenge to overcome when integrating manned and unmanned aircraft into the same airspace is safety. 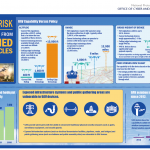 The Navy’s Airworthiness Office (AIR-4.0P) is responsible for the independent engineering assessment of all aircraft (manned and unmanned) and airborne weapon systems to ensure these air vehicles can be operated safely within defined operating limits.